What Do You Do In The Wintertime?? A Years Supply….Would You Be Ready? Your family is probably like many others these days—pulled in countless directions by educational, social, and recreational obligations. 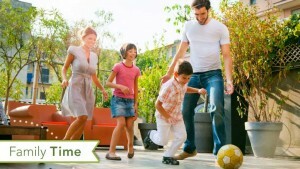 If you’re looking for a way to re-connect with each other, a Family Night might be exactly what you need. Make Family Memories you family will remember for years to come. 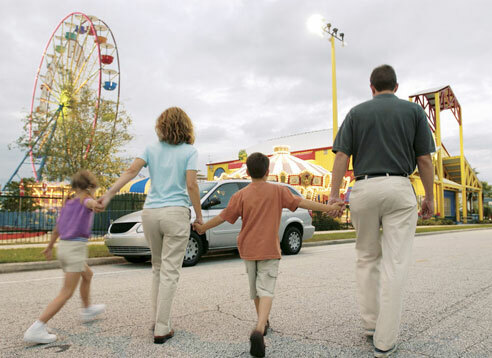 No matter how young your children are, assigning one night a week for Fun Family Night Ideas gives families a special opportunity to have fun together and create lasting memories. 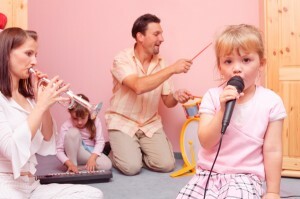 The general concept of a weekly family night is to spend an evening once a week where the family is together having a meaningful experience together. In other words, watching the latest installment of a favorite sitcom doesn’t count! 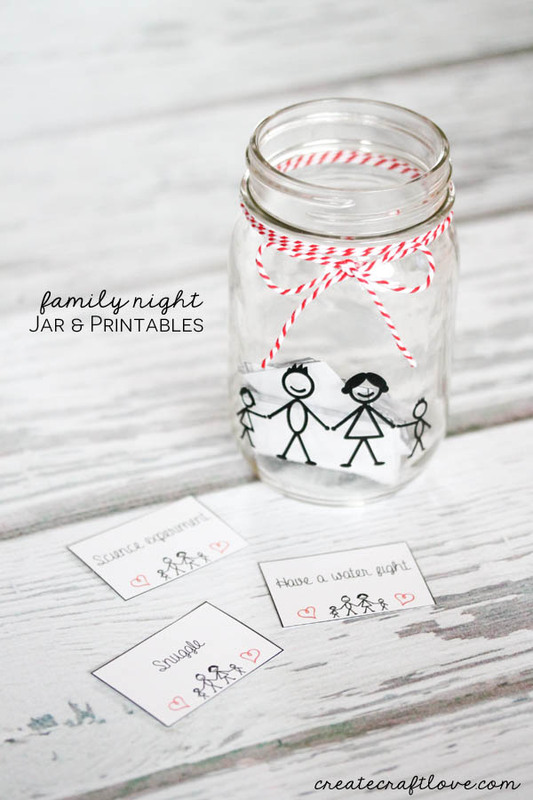 Invariably, as soon as you decide to set aside a weekly family night, you will be inundated with conflicts. Have some integrity and be willing to say no more often. It may be tempting to go to the big game with your friend, but be willing to say thanks, but no thanks. If the soccer team practices at the same time as family night, be willing to find another team or not play. It is important to make sure that your commitment is firm. Remember the feeling of the children in the movie Hook when their dad (Robin Williams) says, “My word is my bond”? Keep your word and put family first and continue to make Memories. Parents, YOU make the difference! 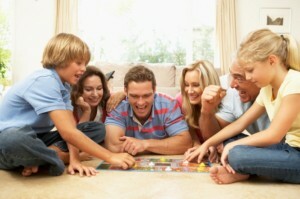 Choose a night when everyone gathers to enjoy a family activity and a game. Make sure all of you, from the oldest to the youngest, are involved. 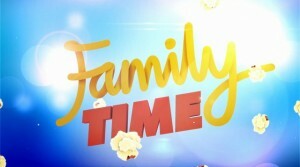 Each week, a different family member can choose the evening’s theme or activity. 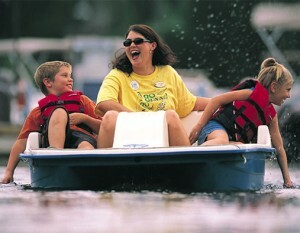 Studies show that families who eat meals together and enjoy activities together are closer. This closeness extends to increased trust and comfort levels, which can help children grow up in a safe and nurturing environment. Children who grow up in this kind of environment are less likely to become involved in drugs and alcohol use, and they are more comfortable discussing problems with their parents. I found a Great Sign to get your Family Time Started! Turn the Page and get the Download via BitznGiggles. 2. Find out about your area’s community center and or/park activities……. 4. Have a family slumber party……. 6. Get out the family photo album…..
8. Visit the Genealogical library……. 11. Clean the house together…(Have a pick-up party.)…………….. 12. Make a play. Take it to a nursing home……. 15. Did it snow? Go sledding and make a snowman……. 16. Make a collage out of pictures from old magazines…..
17. Set up a lemonade stand on a warm day……..
20. Tell Stories around a campfire. ( or at the barbecue?)……. 21. Organize a game of capture the flag…..
27. Go for a hike……..
30. Learn to play the guitar together…..
33. Organize a community clean-up…..
35. Go ice skating or roller skating…..
37. Learn how to use a compass……. 38. Organize 72 hour kits…..
39. Learn how to use a compass…..
40. Plant a tree or some flowers…..
41. Learn the metric system…..
43. Learn the Morse Code……. 49. Pick berries/ fruit together…..
50. Bake cookies or bread…. 51. Take treats to neighbors or friends…..
57. 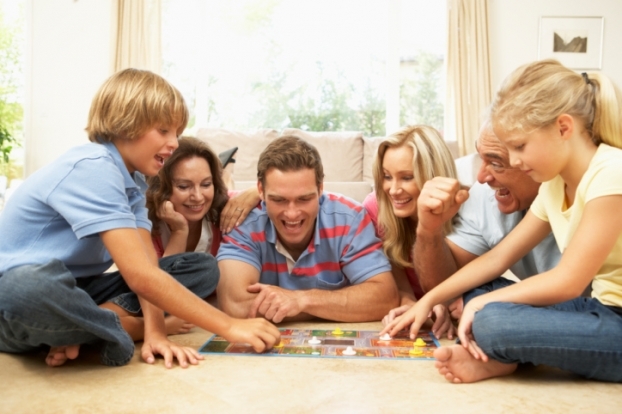 Have Family Game Night……. 58. Start a family exercise group…..
50. Sing (in the car)…. 53. Make Christmas ornaments together…..
54. Write a story together……. 55. Learn how to fold the American Flag (or your country’s flag). Have a patriotic night. Have a flag ceremony. 56. Talk about drugs. Do role-playing. 57. Make a family cook book. 59. 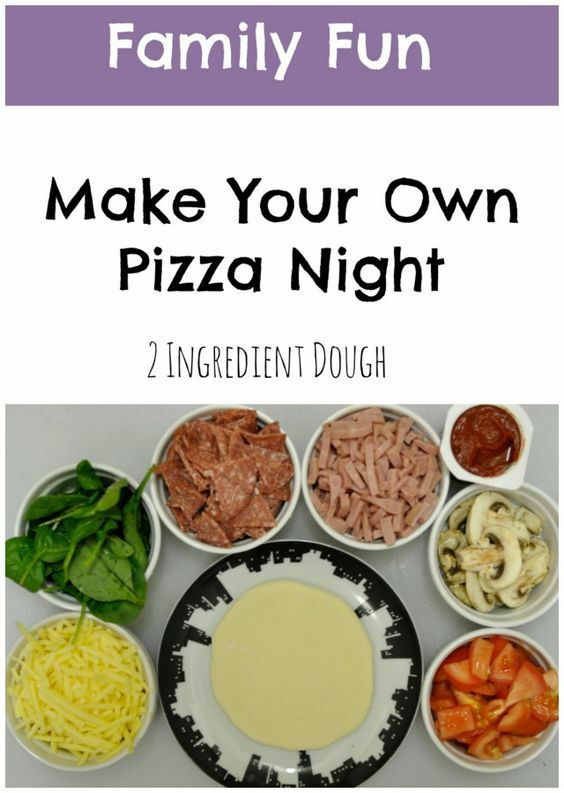 Pizza making night– Make the dough from scratch or buy the pre-made pizza bread and let each person make their own little personalized pizzas. 60. Star Gazing – Grab some pillows, jackets and discover the world above you. There are apps you can download to your phone to help you recognize the stars. 61. Laser Tag- I must say this is one of my favorites. It’s so much fun! Family movie nights are just a bit more structured than simply renting a movie and letting the kids watch it. Remember, the point of a family fun night is to make it a simple, but a special event that involves all the family. Pop popcorn the old-fashioned way (on the stove) and pop in a DVD….. Let everyone in the family have a turn at deciding which movie to watch. 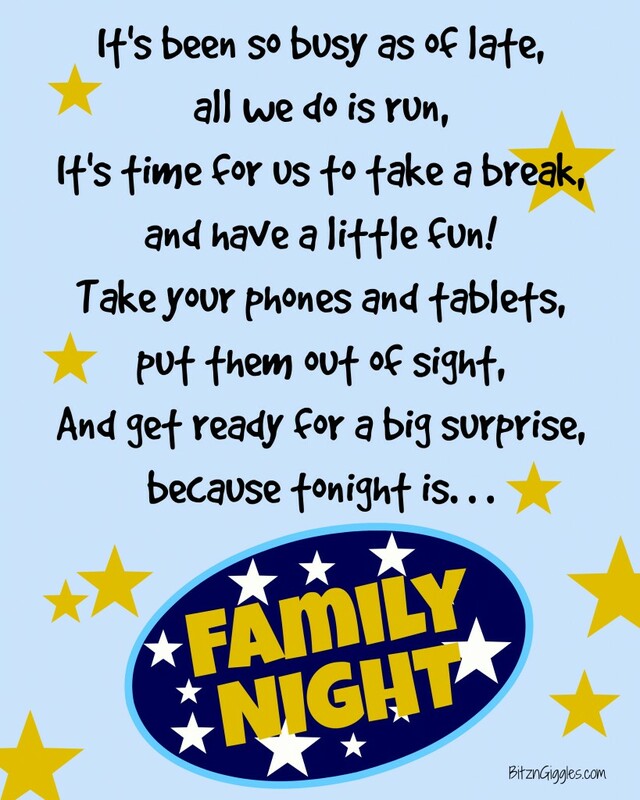 Remember Family Nights can be a lot of FUN! Most importantly though, the best way to have a successful Family Night is to have it. The purpose of Family Night is to be (and learn) together as a family and all you have to do to achieve that goal is to simply hold Family Night. SO HOW ABOUT SOME FAMILY NIGHT TREATS!! 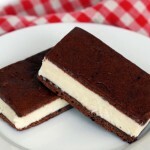 Homemade Ice-cream Sandwiches – Yummy and easy. First make a box of brownies, any kind. Let cool and cut into squares. Take aluminum foil and put one brownie square on it add vanilla ice cream (or any flavor you like) and top with another brownie. Wrap up and put into freezer. Do this with all the brownies. After FHE serve. Nachos – Put corn chips on a cookie sheet and put on shredded cheese we like the four cheese blend the broil in the oven until the cheese is melted. don’t bake it too long! hard cheese is not very good. Home Made Oreos – A favorite of my family is a joyous mix. It’s lots of fun to put together as well. Prepare one box of devils food cake. follow the recipe on back on how to prepare it for cookies. 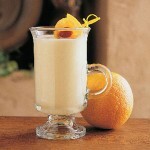 Orange Julius’ – Put 1 1/2 c. water, 1/2 c. milk, 1/2 c. sugar, 1 tsp. vanilla, 1/2 can frozen orange juice concentrate (regular size can), ice cubes (as much as you like, around 2 cups is good) into a blender. Blend until ice is well crushed. We almost always had this with popcorn! When you have older kids, like teens, most are hard to get motivated. One trick I learned is to show them you mean it, find a bowl or container of some sort and have them all put their extra little things in it. Like for example, any electronic device like cell phones, ect. go into the basket. It works like a charm! 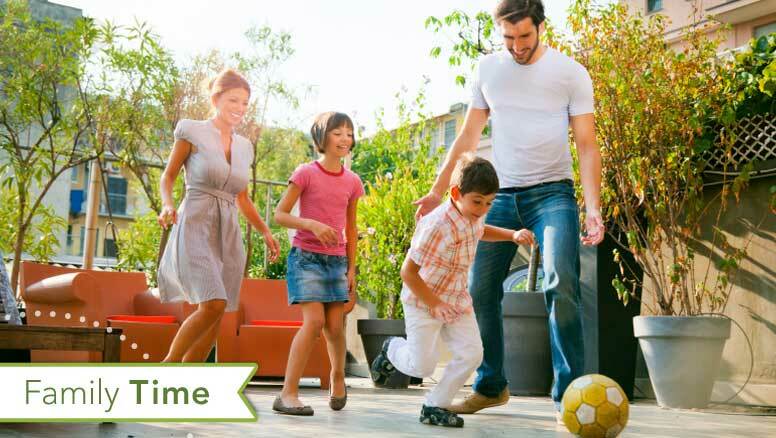 Don’t be discouraged if it takes little time to get your family night started. It’s well worth the effort to start a tradition that strengthens your family bond. As President Ezra Taft Benson said about Family Home Evening, “… Like iron links in a chain, this practice will bind a family together, in love, pride, tradition, strength, and loyalty. ****(Have you ever made a Photo Book before? This is the perfect time of the year to do so. All those Pictures of the Special Moments in your Family’s Lives, should all be Captured and Cherished Forever, and a Photo Book is the perfect way to do it. I wish that we had the sort of simple laid back life that afforded us the opportunity to have every night be Family Night. And I will admit that a part of me misses the days when all of my children were small and the evenings after dinner were spent reading a chapter from a book, all of us snuggled together on the couch. But children have this annoying habit of growing up and having lives of their own, as parents we have to take the time to spend together with them wherever we can get it. Having one special night set aside every week to spend as a family has been transformative for my family. When you have your teenagers putting in requests for the next Family Night and happily coming home on time, you know that you are doing something right. Hi there! Thanks for visiting. We’d LOVE for you to hang around! and/or subscribe by email (which is on the Contact Page above) to be sure you don’t miss an update! Disclosure of Material Connection: Some of the links in the post above may be “affiliate links.” This means if you click on the link and purchase the item, I will receive an affiliate commission. Regardless, I only recommend products or services I use personally and believe will add value to my readers. Celebrate National Parks Week At ePARKS…Get 25% Off Your National Passport Collection With Code PASSPORT! Parents Love These Sets….Gerber Graduates Learner Spoons & Plates From Steals.com Today Up To 50% Off! AUGASON FARMS….THIS WEEKEND ONLY…Up to 40% Off Your Order! Adventure Awaits! Gear Up at CampGear.com > Shop The Sleeping Bag Sale and Save Up To 50%! Join The Community of Mindful Parents – UpChoose + Use Code SPRING15 for $15 Off Your First UpChoose Order! Running Low on Contacts? Get Your Brand, Delivered Free From Simple Contacts + Get $20 Off Your First Order With Code SPRING! Ready For a Better Sleep? 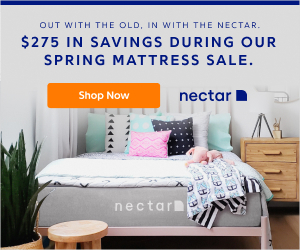 Save $275 Dollars At The NECTAR SLEEP MATTRESS SALE! You Need This a SanteviaAlkalineStick…All The Health Benefits Of Great Tasting Mineral Water At a Fraction Of The Price + It Lasts For 1,000 Uses, So Will Last Up To One Year ONLY $16.99! EARTHING….A Wonderful Mother’s Day Gift, Buy 1 Get 1 Throw FREE. Connect To The Earth and Feel Amazing! Hey Guys You Need “The Ultimate Men’s Grooming Line” Over At SCOTCH PORTER. 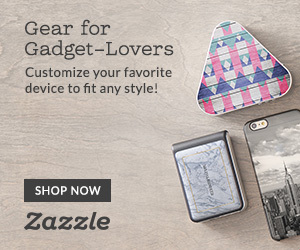 Save 15% Off Your First Purchase With Code SP15. Ends Tomorrow At Target.com ….Buy 1 Pair Of Shoes Get 1 50% Off For The Whole Family! Get Ready For All Those Summer Vacations! 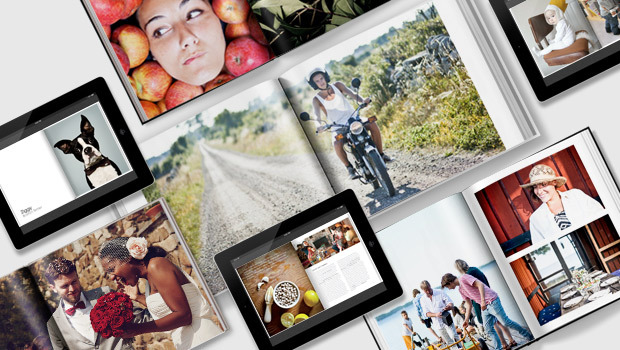 SHUTTERFLY… SAVE 50% ON HARDCOVER BOOKS & PREMIUM CARDS + SAVE 40-50% ON ALMOST ALL ELSE* No Code Needed! Check Out **Beauty By Design** You’ll Have Your Own Personal Esthetician To Create The Perfect Skin Care Routine, For You! Natural Products. Don’t Be Exposed! Hackers Play Dirty. That’s Why There’s MyCleanID. Download The FREE Diagnostic Software and Run a Quick Scan Of Your Computer Now! Home Office SALE $2.99 Shipping + 15% Off From CURRENT CATALOG With Code CCFS28. Need a Part-Time Job? Earn Up To $22 Per Hour As a Shipt Shopper! AMAZING PRICE…..Hop Over To Walmart.com For a Farberware 3.2-Quart Digital Oil-Less Air Fryer ONLY $38 Shipped (reg. $69.99)! 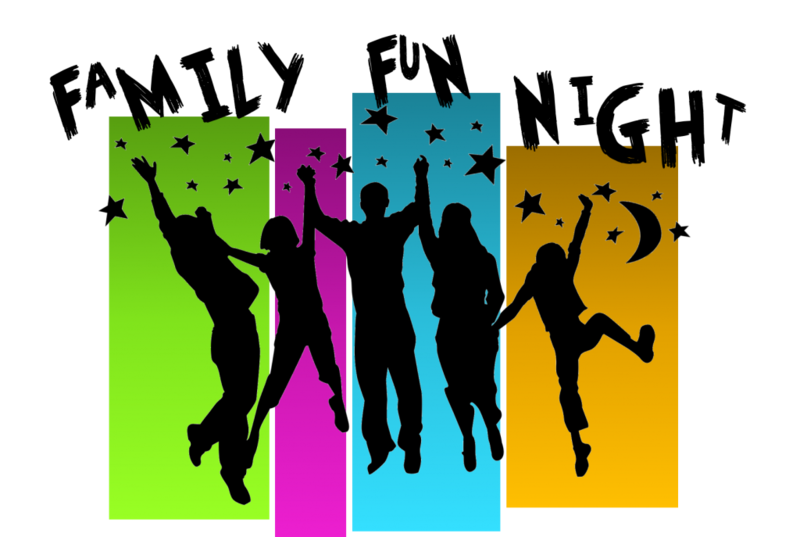 Enjoy a Fun Date Night From BONDING BEES….This Month’s Theme is *THE 80’s.” Don’t Miss It! Use Code 80s and Get 30% Off! REAL KETONES….Turn Fat Into Fuel. For Everyday For Everyone! Wonderful Gifts For Mom At NECTAR BATH TREATS….Get $10 Off A $30 Nectar Bath Treats Purchase With Code Relax. If You Have a Dirty PC Clean It Up In Minutes With MY CLEAN PC!! Learn More About Michael Todd Beauty’s Devices! LAST DAY From Zazzle…. 40% Off Business Cards, Post-It® Notes, Posters, Rubber Stamps & More With Code BLOOMWITHZAZ At Checkout. FABKIDS….Don’t Miss This Event! Get 2 Outfits Or 2 Pairs Of Shoes From $9.95! TAYLOR STITCH…BUY ANY 2 TEES From The Heavy Bag Shop AND SAVE $10.00!! Are You Getting Married Or Know Someone Who Is?……..Get 20% Off Stylish Bridal Gifts With Code PB20 At The Paisley Box. When Your Loved Ones Need a Medical Alert Device Head To Bay Alarm Medical…From $19.95 a Month + Free Shipping! Voted The #1 Subscription Box For Kid BITSBOX. Hundreds Of Crazy Fun Apps For Kids To Build. Send a Smile To a Friend With Tulips, Lilies and All Spring Flowers 25% Off At Blooms Today. Shop Amazon Outlet – Clearance, Markdowns and Overstock Deals. Save up to 80% Off Spring Specials at VivaTerra + Get $10 Off Any Purchase Of $100 Or More With Code LSPLASH. You Know How Busy Life Gets….For a Limited Time! 6 Meals For $36 at Gobble!